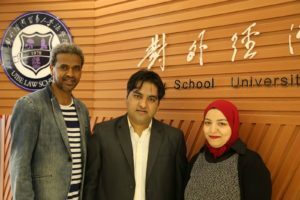 As part of our coverage of China, the editorial team at LLM Law Review visited with Tian Tian, who is the Senior Coordinator of Foreign Affairs & International Programs at the University of International Business and Economics (UBIE) in Beijing. She coordinates the law school’s LLM Program. 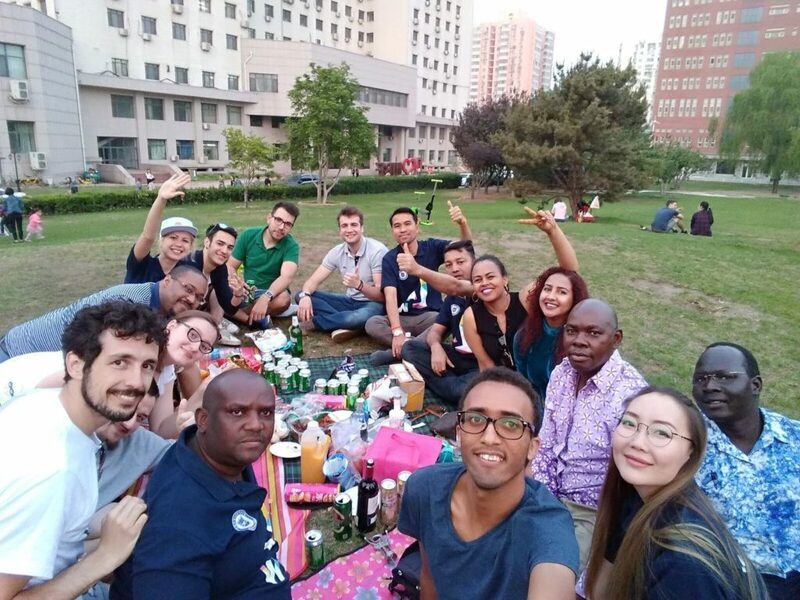 While many consider the LLM program as uniquely Western, the UIBE offers one of the very few LLM programs in China. LLM Law Review: First thank you for allowing us to interview you and learn about the program. Tell us about the China University of International Business and Economic Law School (UIBE)? Where is it located, when was it founded and the types of programs you offer? Tian Tian: Thank you for having me. Since its founding in 1978 by a teaching group spearheaded by Prof. SHEN Daming and FENG Datong, UIBE Law School has maintained a record of academic excellence. It has also had a significant influence on the practice of international business law. It was also in 1978 that the first group of Master of Law students enrolled at UIBE, majoring in international business law. Many of them would later became pioneers in legal and business fields. One for example is Dr. GAO Xiqing, the former CEO of China Investment Corporation (China’s sovereign fund established in 2007). In 1984, the UIBE established the Department of International Economic Law, making it one of the first four institutions in China to be permitted by the Ministry of Education to enroll Ph.D. students in International Economic Law. This showcases the prestige of UIBE Law in its early days. In 1996, in order to meet China’s increasing demand for experts in international law, UIBE founded the Law School based upon its Department of International Economic Law. After more than thirty years of development, UIBE Law School has established itself as the leader of China’s advanced legal education in international economic law. Our sixty-plus full-time faculty members offer a depth and range of experiences to the School and instruct upper-level courses on a series of topics, including international business law, WTO law, comparative law, financial law, insurance law, securities regulation, competition law, environmental law, intellectual property, torts, contract law, bankruptcy law, criminal law, and more. Our faculty members are frequently assigned key national research projects and granted a variety of research funds by multi-level agencies, including government authority, enterprises, NGOs, and industry associations. Through these research projects, UIBE Law School continues to influence China’s policy-making on international economic and trade issues, negotiations of international trade and investment treaties, regulation of financial markets, and a more effective national legal system. UIBE Law School is strongly committed to educating its students on the domestic and international legal market. The School’s fourteen core courses required for undergraduates lay a firm foundation for their pursuit of more advanced programs in a particular field, such as international economic law, competition law, intellectual property law, etc. Indicative of this strong commitment is the fact that UIBE Law School’s international law major has been designated as one of the top three National Key Disciplines of International Law since the 1980s, receiving funding from China’s National Special Fund. In 2012, UIBE Law School was among the first group of Chinese law schools designated by the Ministry of Education as an “Education Base”, both for “Outstanding Legal Talents for Foreign Affairs” and for “Outstanding Practical and Composite Type Talents”. Today, UIBE Law School rapidly develops its global reputation as a primary source of insight into international commercial and economic law, especially concerning China. UIBE also offers international Masters and Ph.D. programs, both in international and comparative legal studies. We offer nearly 40 courses specifically for these two programs, all taught in English and available to students enrolled in either program. Our curriculum consists of two parts: (1) a comprehensive and comparative study of Chinese law, with extensive comparisons to the law of other jurisdictions (like the U.S. and the EU); and (2) a regular study of international law, with more attention on cutting-edge issues in a global context. UIBE is located in Chaoyang District, Beijing. UIBE is adjacent to the National Olympic Center, and transportation is convenient. It takes 25 minutes to get to the well-known Zhongguancun area by car and 5 minutes walking to arrive at Subway Line 5, Line 10, and Line 13 from the west, north and east gates of the campus, respectively. LLM Law Review: Can you tell me a little about the LLM Program in general in China. How many are out there, what is legal education like in China and how many students study to become lawyers in China. Tian Tian: We have three types of LLM programs for Chinese students: one is a two-year Master of Law, which focuses on academics, and one is a two-year JM, which focuses on practice. We also have a 3-year program for students who do not have an LLB before enrolling. At UIBE Law, around 90% of students plan on pursuing a job related to law after graduation. Around 33% (the Masters students) become lawyers. 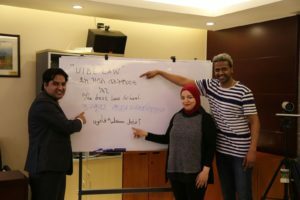 LLM Law Review: So the program is taught in English? Are there both Chinese and American legal faculty? Tian Tian: Yes, we have full-time foreign faculty members from the US and Australia and adjunct professors from many countries, like the US and HK. LLM Law Review: Can you share with me about your background and work prior to UIBE? Tian Tian: I have my LLB and LLM from UIBE and work as Senior Coordinator for International Affairs of the law school. LLM Law Review: You’re an Attorney in China, right? Our readers are always curious, especially in the United States, what the process is like sitting for the Chinese bar examination. Tell us a little about this process. Tian Tian: I have the qualifications but have not yet practiced. Previously, students needed to pass the bar exam (which is given every September) in order to qualify to become a lawyer. Then, they have to intern at a legal practice, such as a law firm, for at least one year. After that, they can apply to become a fully qualified lawyer. China will have bar exam reform this year, so not all details are currently known. Compared to previous requirements, it will place more focus on obtaining a legal degree or practicing as the precondition for taking the bar exam. LLM Law Review: I understand you are also conducting research. Would you be able to share what you are working on? Tian Tian: China is keen on any research regarding One Belt One Road (“B&R”). Right now, I am carrying out a comparative study on the US and China’s legal and interdisciplinary education. LLM Law Review: Anything else our reader should know about you, the program you manage and/or the university in general? Tian Tian: Due to its traditional strength in international business law and emerging leading role in international trade and investment law, UIBE Law has long been a major think tank for the Ministry of Commerce (MOFCOM), which has served China’s long-term reform and opening-up since the 1980s. Now, the law school is also a pioneer in promoting China’s rule of law under the B&R Initiative; it was recently recognized as China’s first legal research center with this purpose. UIBE Law School ranks among the top ten law schools in China in the fourth round of subject assessment of the Ministry of Education (released in December 2017). The International Law discipline was selected in the key construction list for “Double First-Class” initiative of the Open Economic Discipline Group in 2017. The list not only marks a new starting point for the development of the UIBE Law School, but also indicates the beginning of a long and arduous journey. LLM Law Review: Thank you again for sharing information about your background, UIBE Law School and about the legal system in China. This is very fascinating and I’m sure our readers will have questions for you. Tian Tian: You’re very welcome. I enjoyed our conversation. If anyone wants further information, feel free to contact me directly. Or if you find yourself in Beijing, come visit the campus.